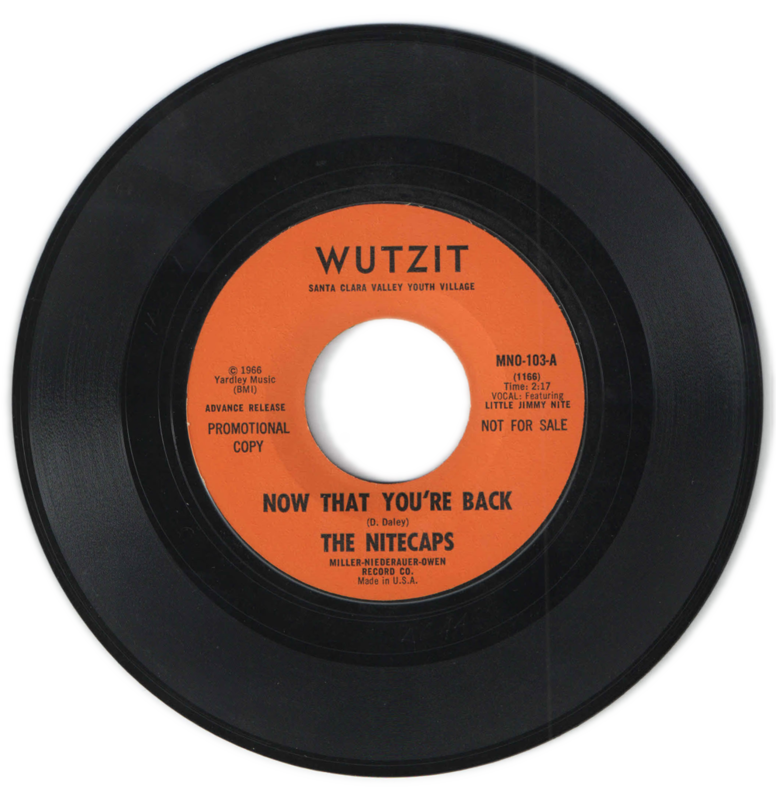 You may notice that the label on the 45 is the WutZit label; this recording was the result of us winning the Battle of the Bands at the Wuzit club. Part of the prize was getting to go into the studio and record these two songs, and our adventures in the recording studio were, like everything else that was happening at the time, a new and great adventure. 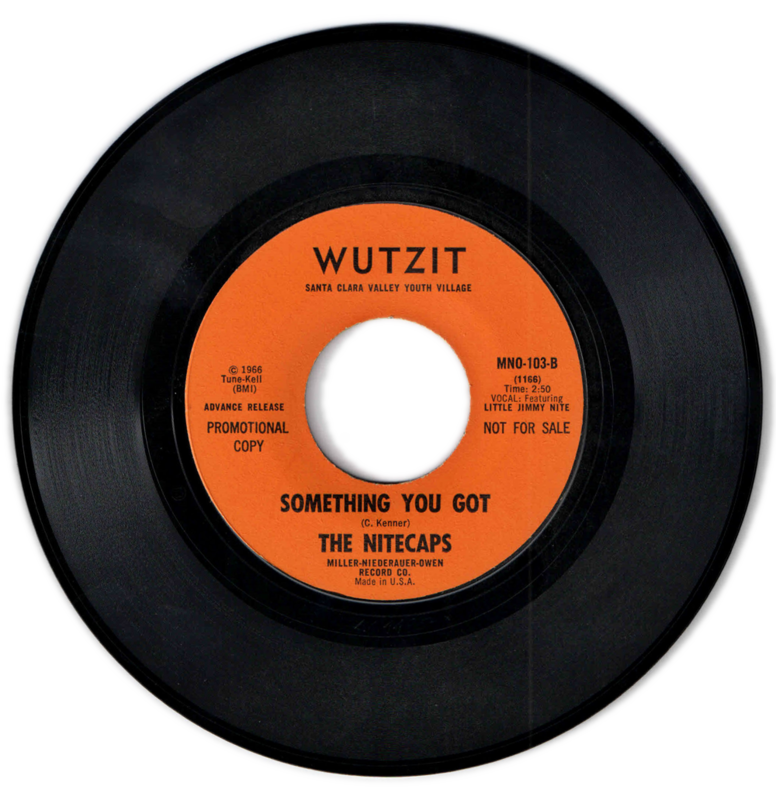 The record did OK, actually; the song “Something You Got” ended up getting a lot of airplay in Nevada, of all places. It was kind of funny how it all came about. I was actually raised by my grandparents; my mother lived in Nevada, and I would spend summer and Christmas vacations with her. She had remarried and she and my stepfather owned a business called Carson Tahoe Vending. It was a business that put candy machines, cigarette machines, jukeboxes and even slot machines in various different businesses. My mother programmed the jukeboxes for the various different locations, and one of those locations was the Sahara Tahoe in Lake Tahoe, a very famous casino to this day. There was a jukebox in the teen club in the casino, and my mom (being my mom), put our record on that jukebox. 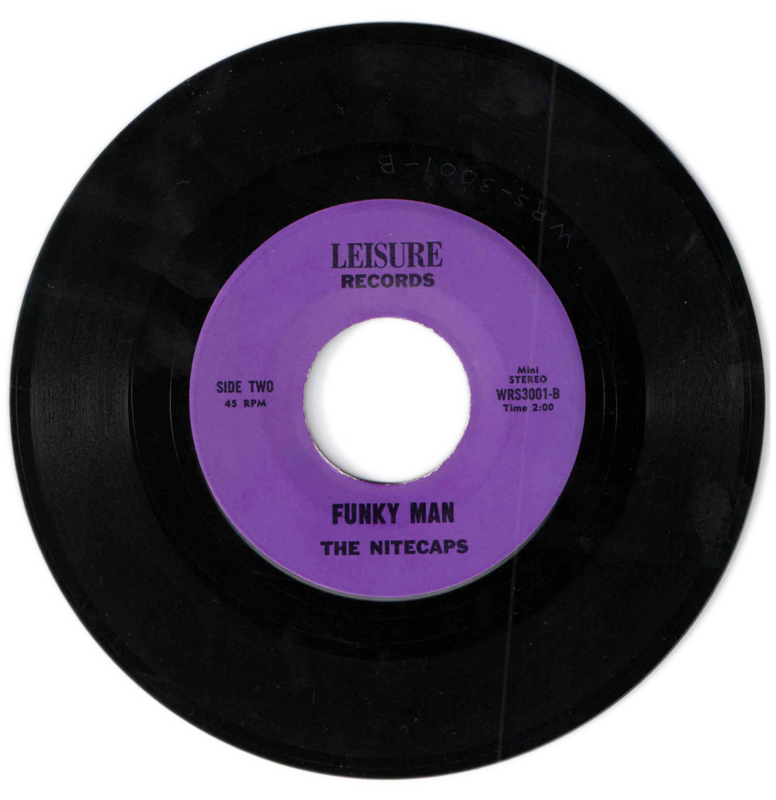 It became quite popular, and the next thing I knew we were getting airplay in the Nevada area, all because we had a 45 in a jukebox at one location (well, actually, my mom put the records in all of the jukeboxes in all the locations that their business had. What can I say? She was my mom). So here’s the story: I own a music school and have been teaching for years. One day, not all that many years ago, in walks Phil Sparacino. Now and again throughout the years, Phil would drop by; he was a songwriter and liked to show me songs that he had written. He was a couple of years younger than me but did go to my high school, and always loved to talk about the old days and particularly about the Nitecaps, as he had seen us play when he was in junior high school and I guess we made a pretty good impression on him. It had been a while, but one day he walked in and said, “Hey man, I wrote a song about you and your band.” He sang it right then and there – no guitar, no music – he just stood at my door and sang the song a cappella. Needless to say, I was totally amazed and extremely appreciative that he would do such a thing. I have a lot of friends in the music business and a few of them own their own recording studios, so I sent Phil over to one of my buddies, Johnny Reason, and asked Johnny to give it a listen to see if he can put a little bit of background music to it. Before I knew it, the result was the song that you hear on the homepage. I’m also using the song as background music for an 8mm night film that we also found as we were digging through memorabilia for this website. We had the film but no audio so I thought that it was the perfect audio bed for the film. So, Phil, what can I possibly say? THANK YOU so much for your talent and great thoughts of the Nitecaps. It truly was a great addition to our memories and feelings about our group, and all of us in the Nitetcaps humbly and gratefully thank you! 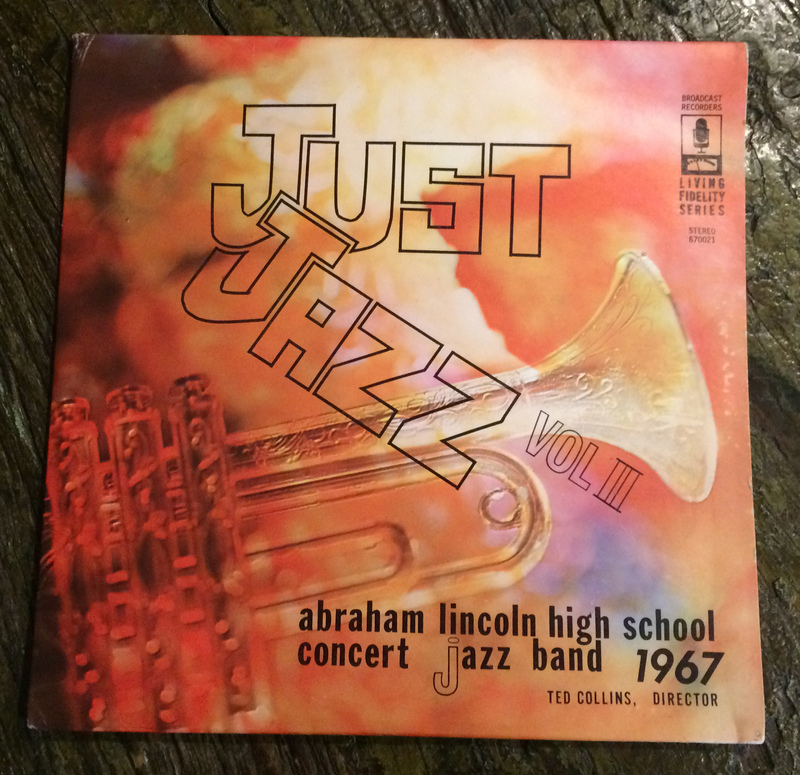 My high school jazz band made 2 albums one when I was a sophomore and this 2nd album when I was a junior. My participation in this jazz band was my connection to finding our next saxophone player Vince Lopez. This is also the jazz band that played at the at University of Nevada Jazz Festival in 1967, where I won best live guitar solo.